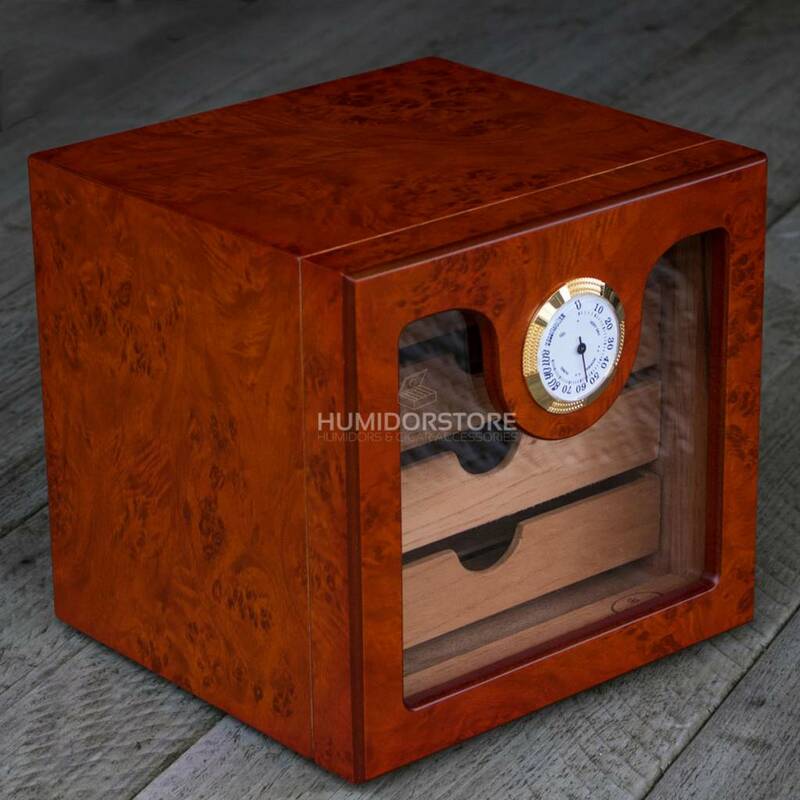 Humidor The Admiral is a beautiful, big, timeless classic humidor! 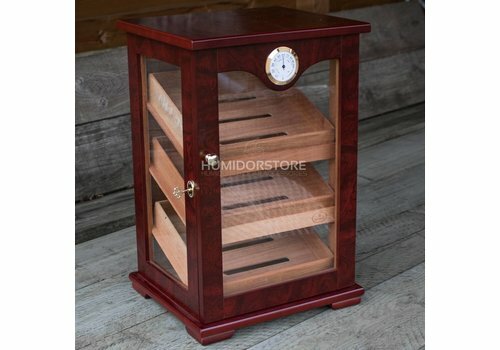 Both door as sides of this Humidor are made out of glass, whereby you can have a perfect sight on your precious cigars. 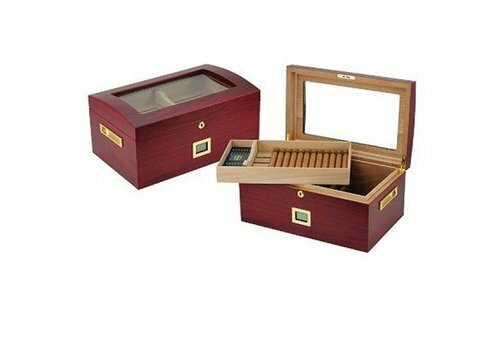 Luxury Humidor The General is a beautiful large handmade Cabinet of timeless class. 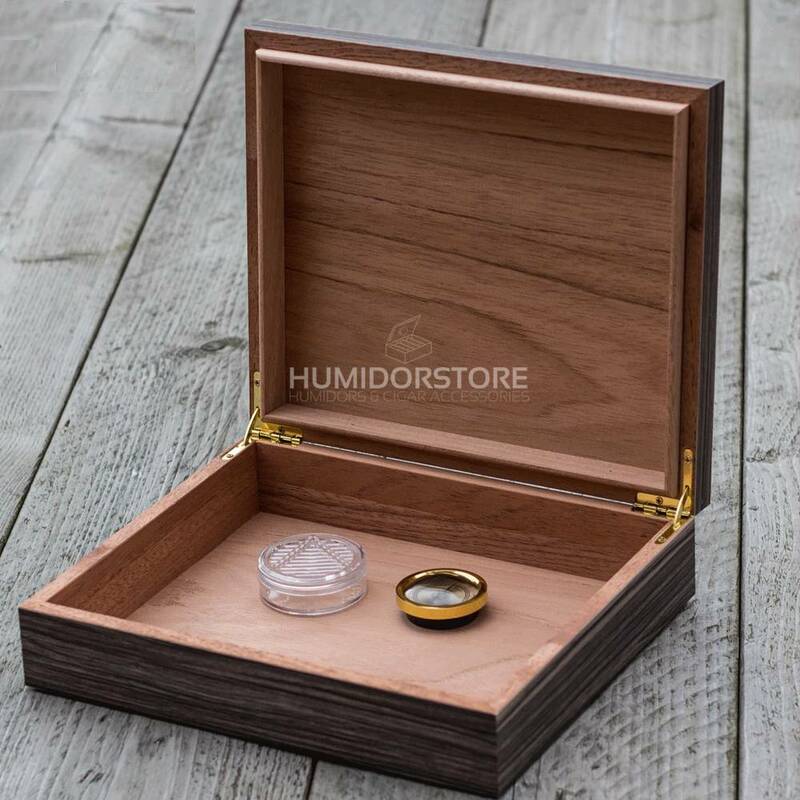 Both the door and the sides of this humidor are made of glass, giving you a perfect view of your valuable smoking products. 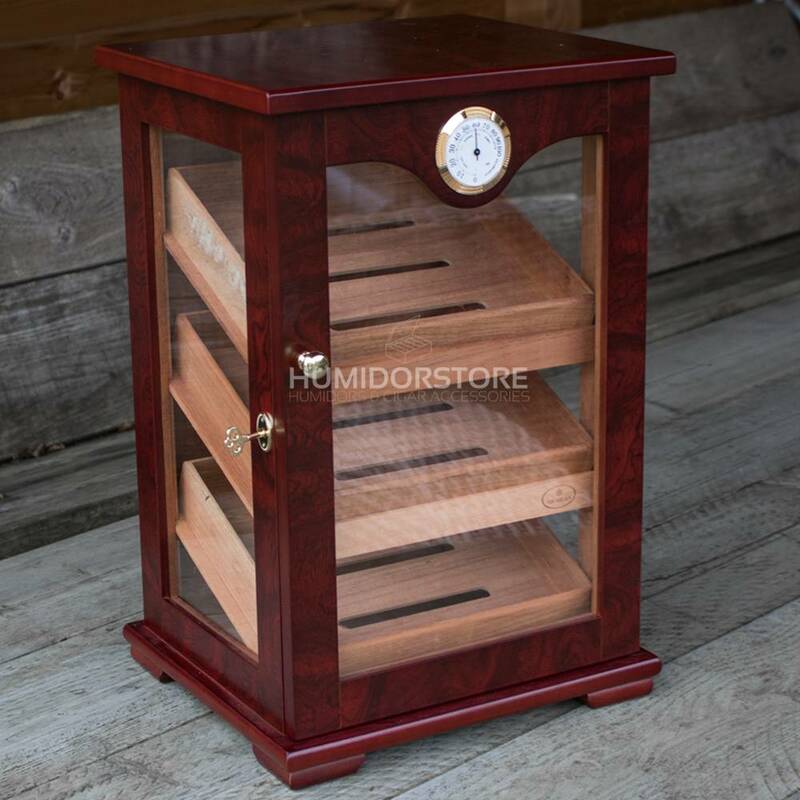 Humidor The Prince is a big, matte varnished humidor, made out of cherry wood with a window and a big hygrometer on the front side. 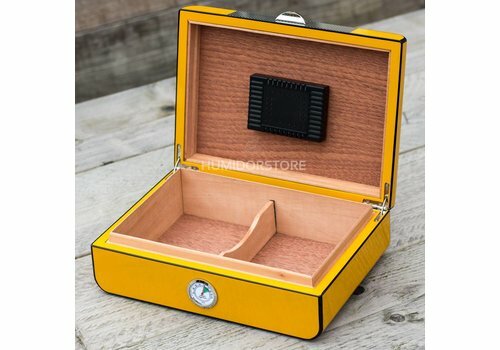 The Humidor Cuban Yellow is a yellow humidor with carbon details. 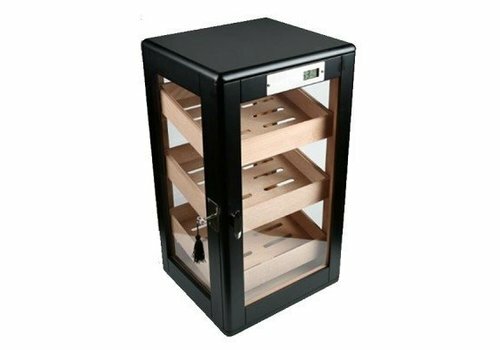 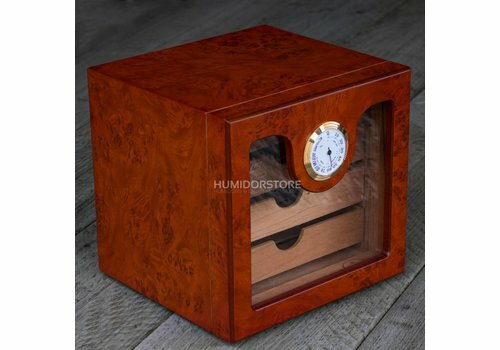 This humidor is unique, it includes a hygrometer on the outside and a humidifier. 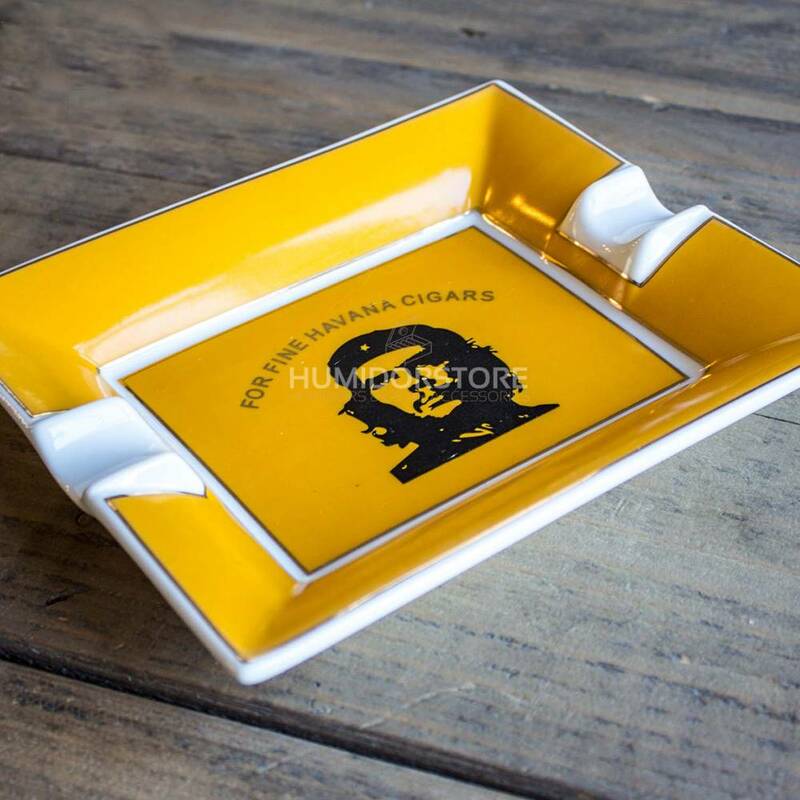 The Che Guevara cigar ashtray is a beautiful ceramic ashtray with a picture of the famous Che Guevara. 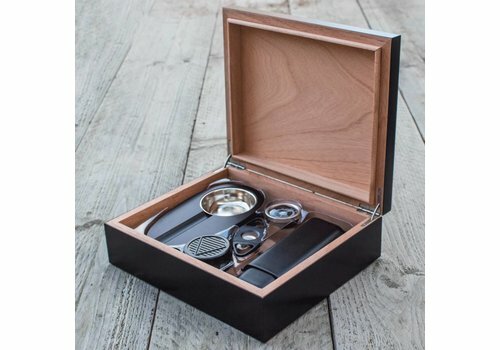 This cigar ashtray is perfect for supporting up to two cigars. 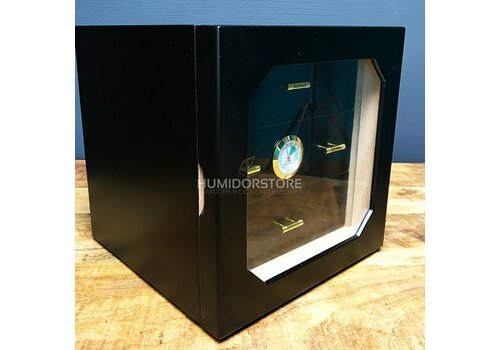 Humidor Steel Oak is a beautiful large black handcrafted humidor. 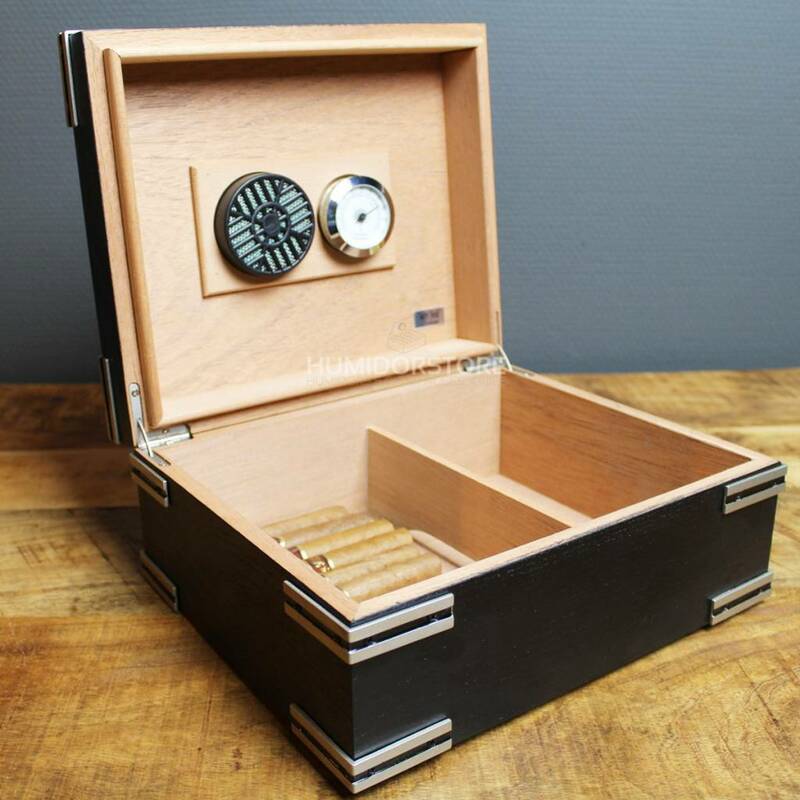 The sides of this humidor are made out of steel, while the inside of this humidor is made out of cedarwood. 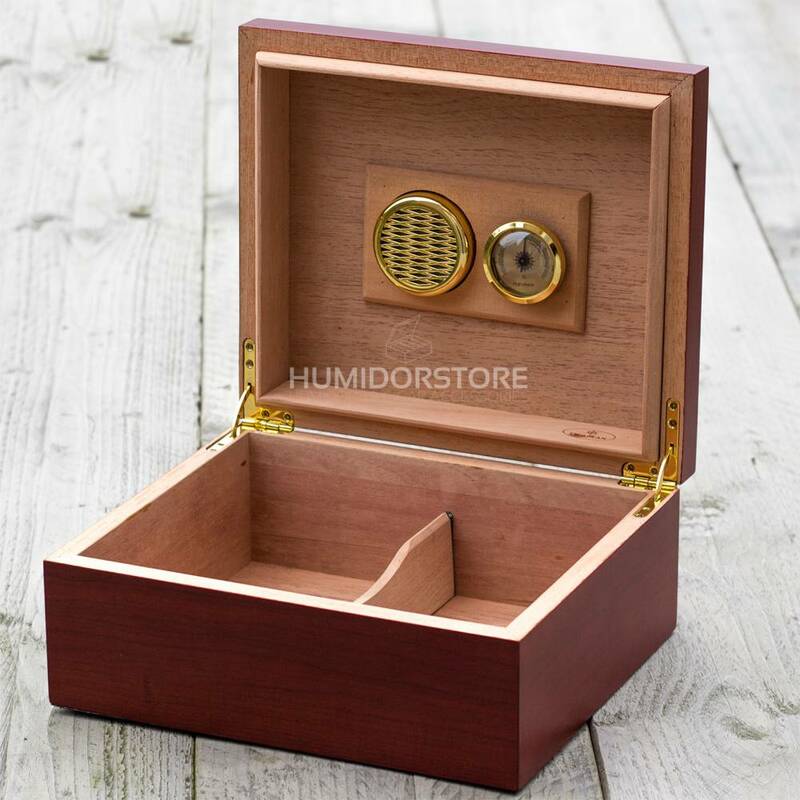 The Ambassador is a large, luxurious and beautifully handcrafted cabinet humidor with a glass window. 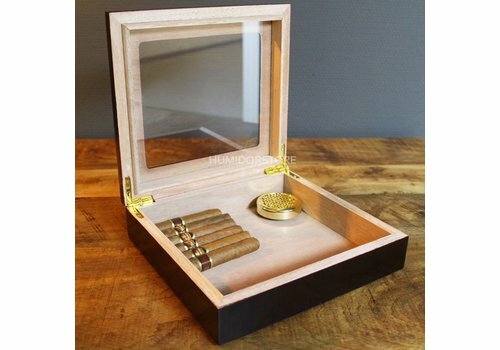 The interior of the Ambassador is made out of Spanish cedarwood, while the outside of the humidor is made out of burl. 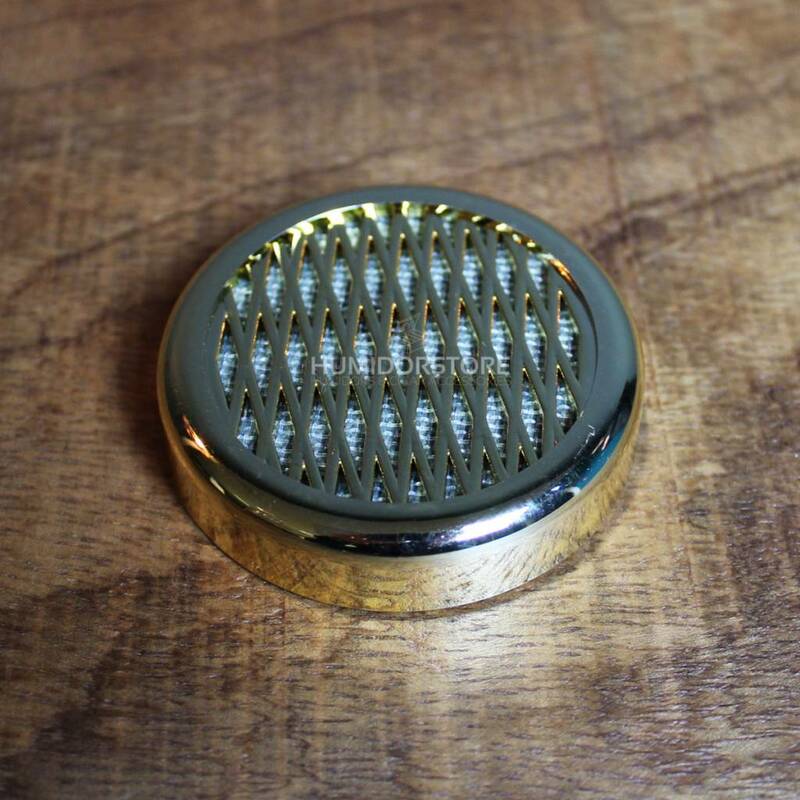 Zorr cigar lighter basic is a basic, yet very good cigar lighter. 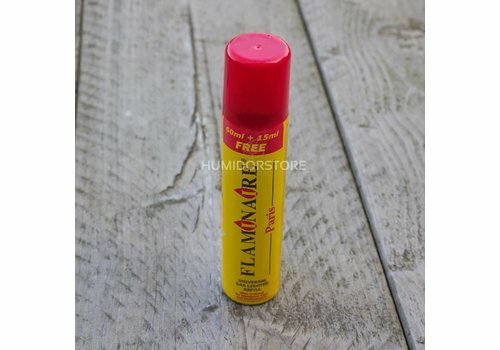 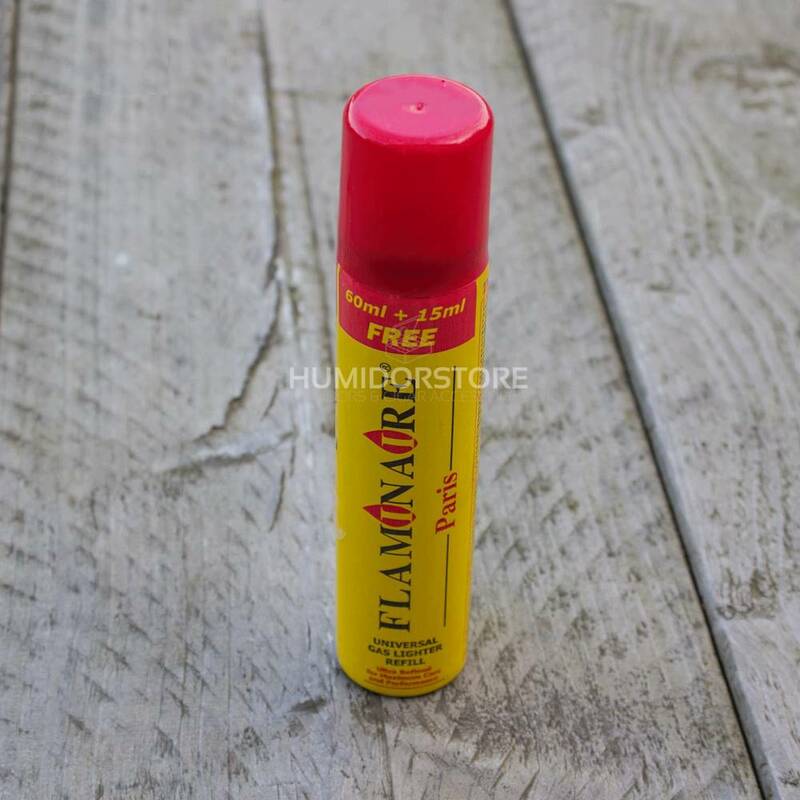 This jet flame lighter is a high quality product made by Zorr. 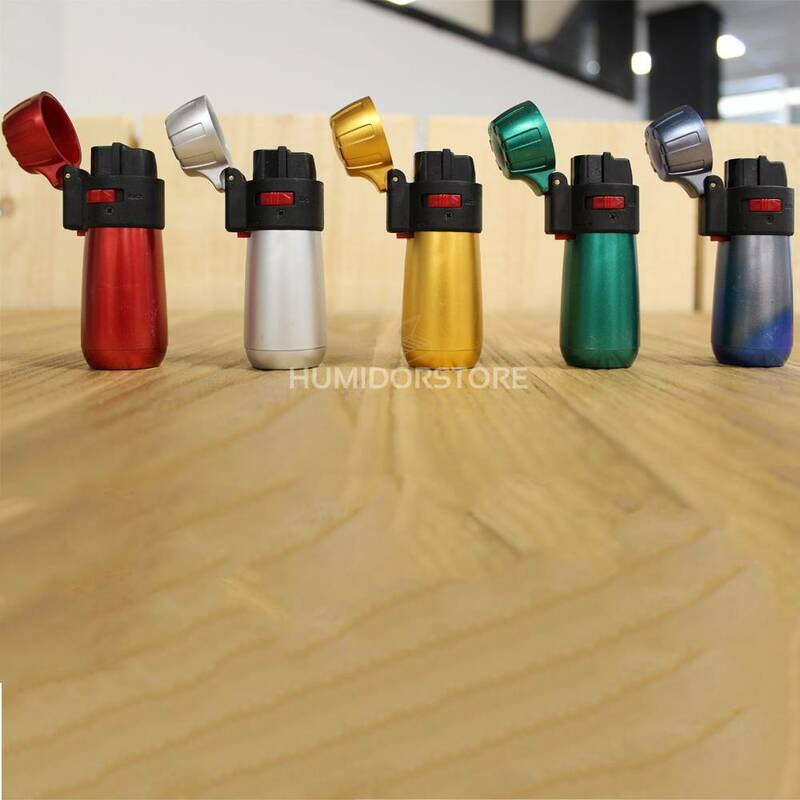 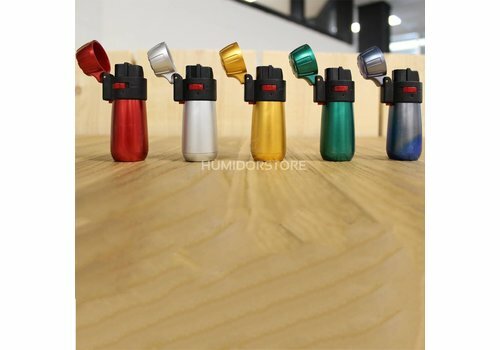 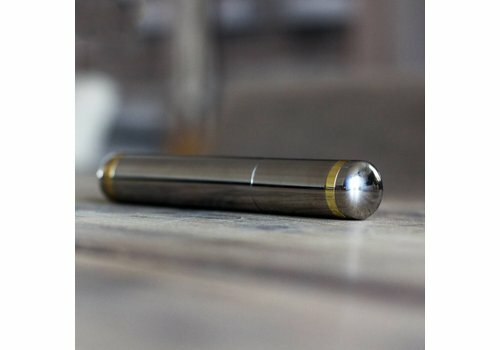 These cigar lighters by Zorr are refillable, which make them very durable. 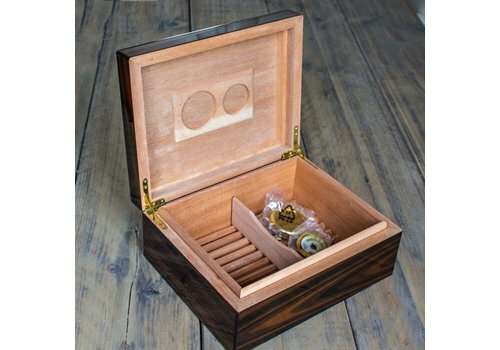 Humidor Bookwill - Zebrano is a beautiful, handmade humidor with a Spanish cedar wood interior and exterior, from the unique Zebrano wooden exterior! 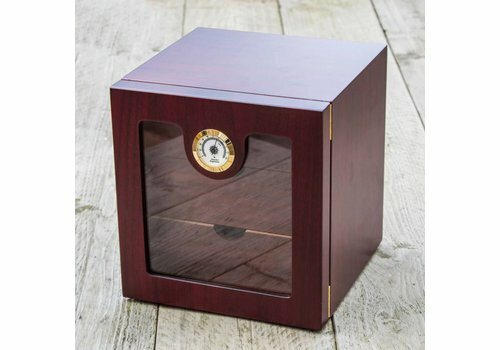 The Humidor Westminster from the brand 'Coombes & Claymore' is a beautiful, made by hand, humidor. 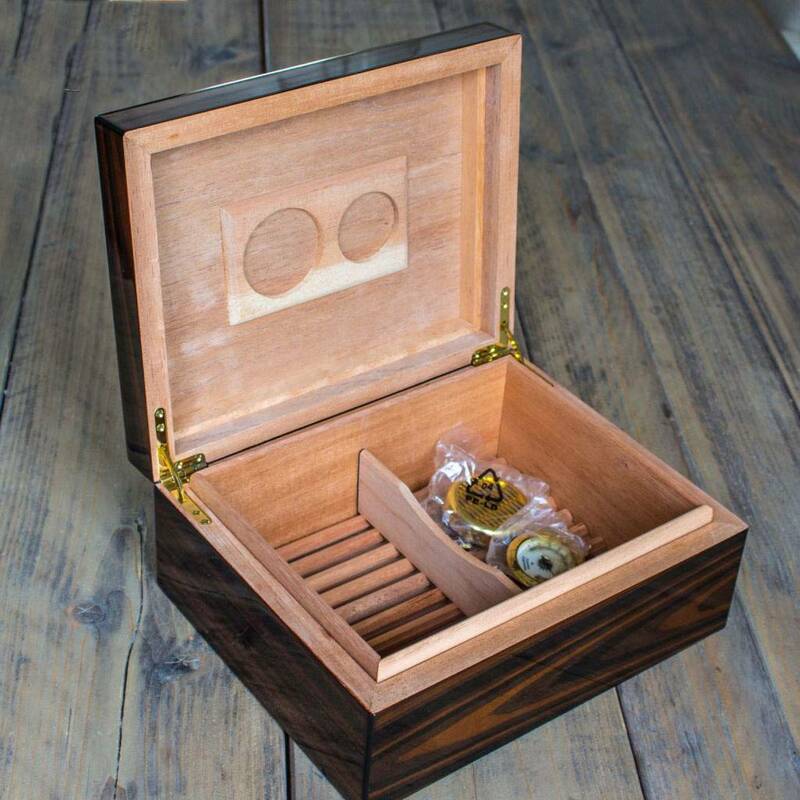 It is made out of walnut and Spanish cedar wood. 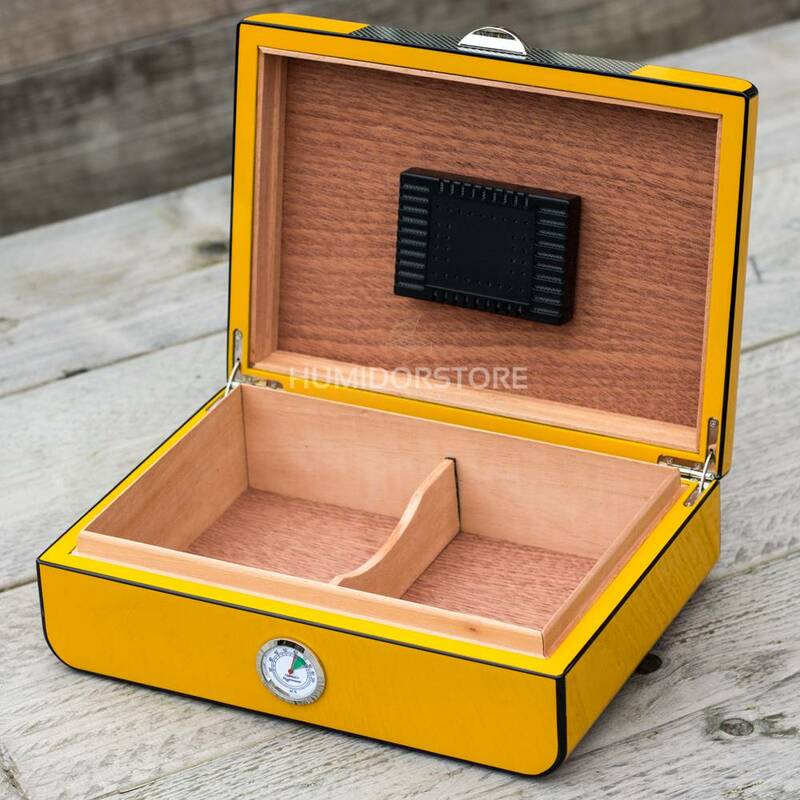 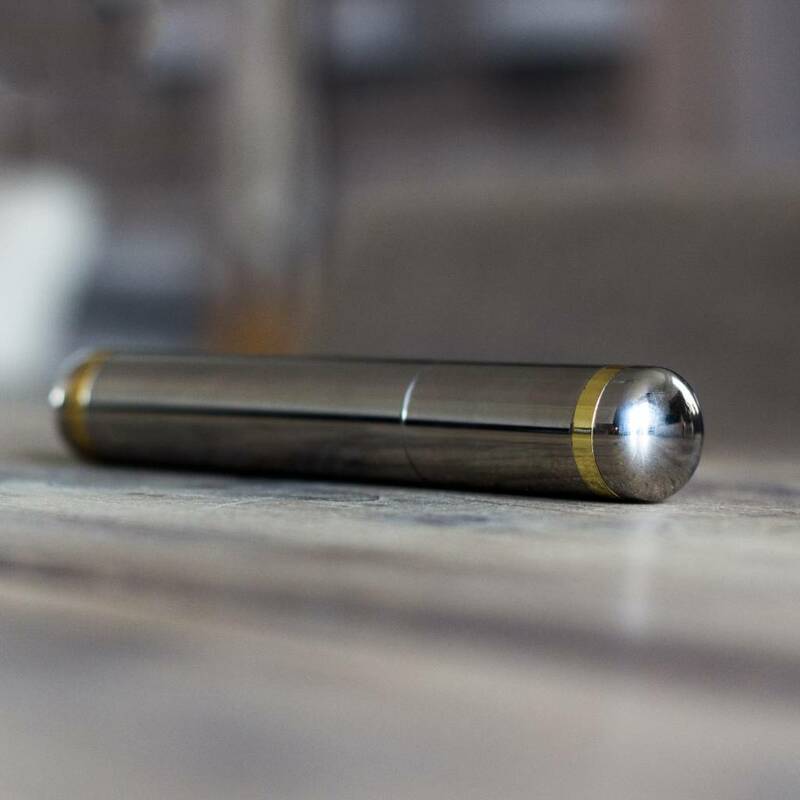 This metal cigar case is perfect for one cigar and helps keeping your valuable cigar in a good condition when travelling. 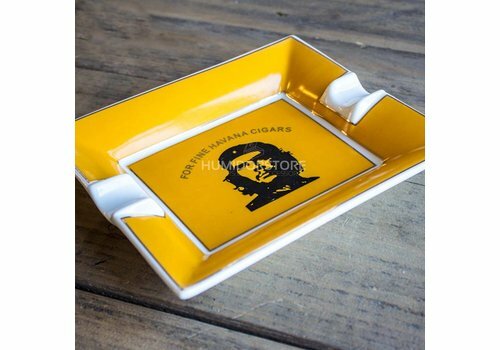 The Trinidad cigar ashtray is an unique heavy ceramic cigar ashtray from the famous Trinidad. 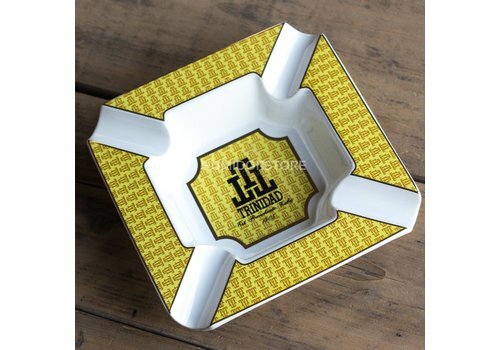 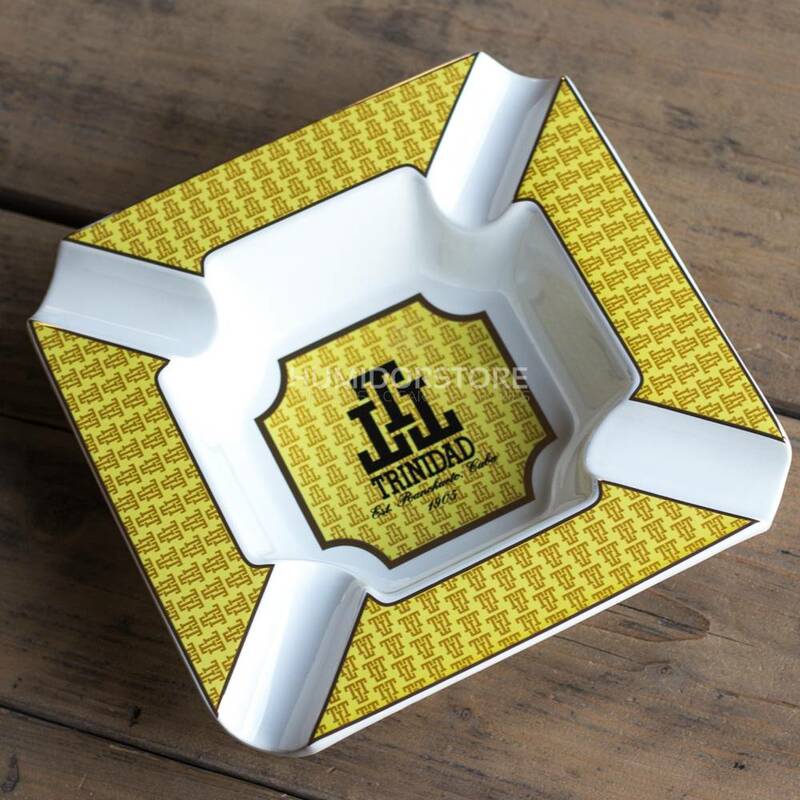 The Trinidad cigar ashtray is a big ashtray which offers space for up to 4 cigars. 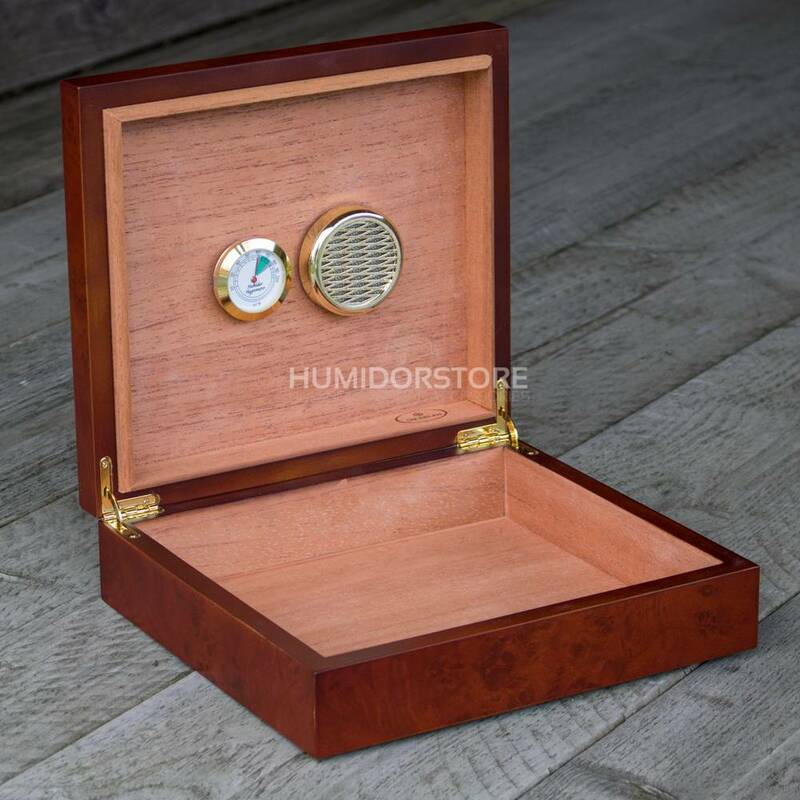 Humidor The Governor is a large handmade humidor of cherry wood with a glass window and a large digital built-in hygrometer on the front. 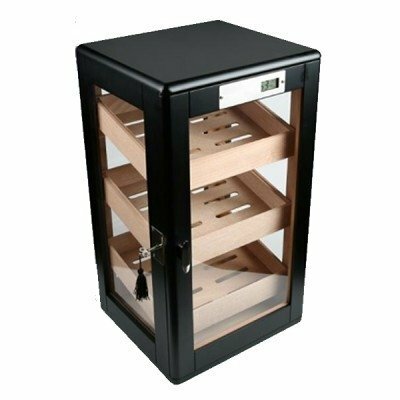 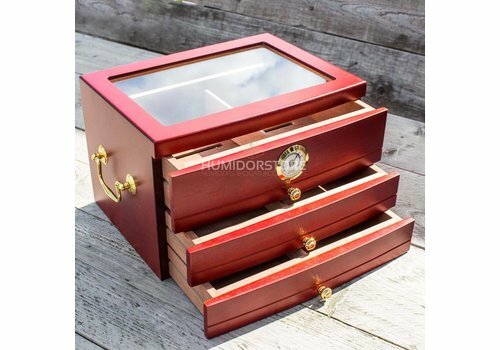 Humidor The Mayor is a beautiful luxurious handmade cabinet humidor with a tough and sleek appearance. 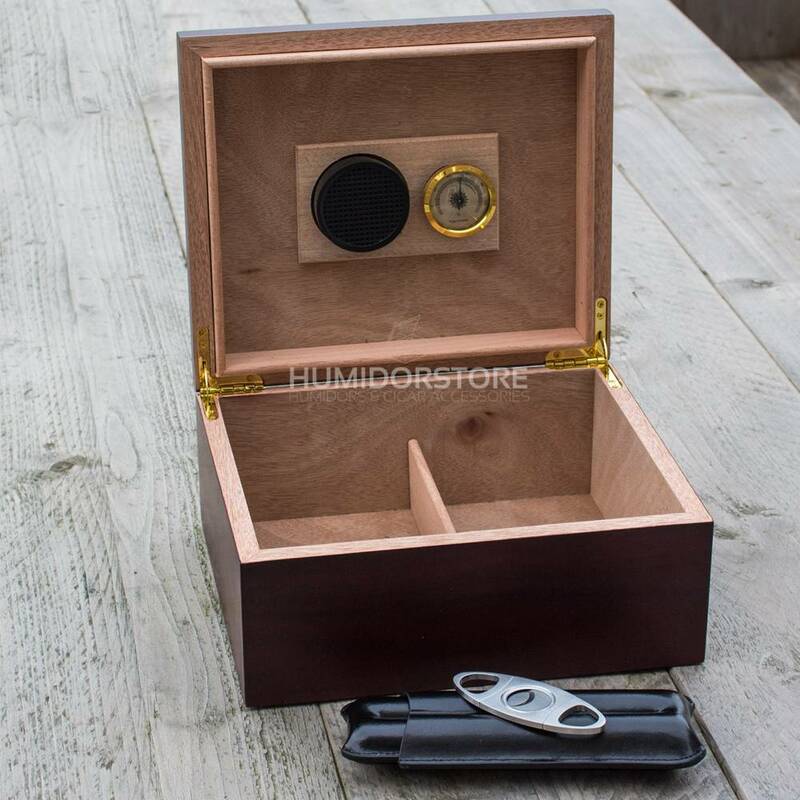 This cabinet humidor is black lacquered with an interior of Spanish cedar wood and has three large drawers to store your cigars. 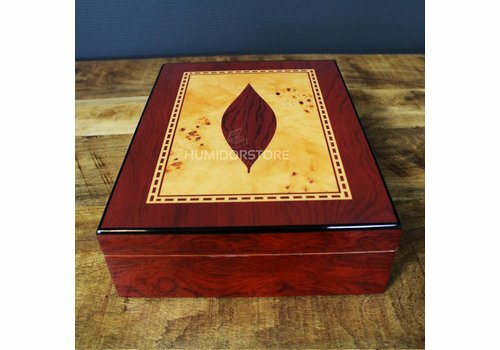 The Humidor “The Leaf” is a beautiful handmade humidor of Spanish cedar wood. 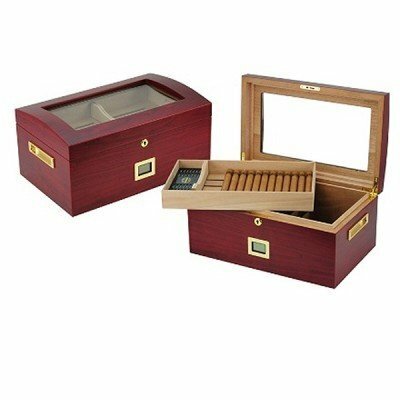 A beautiful unique humidor that you will not easily encounter twice and has a lid that is decorated with a stylistic tobacco leaf. 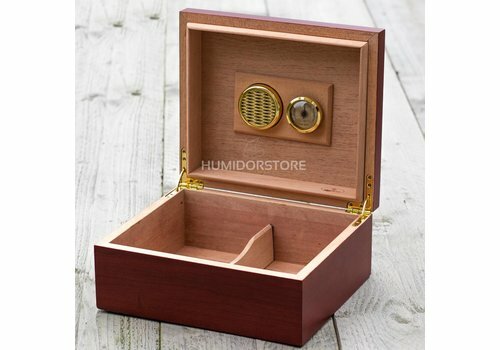 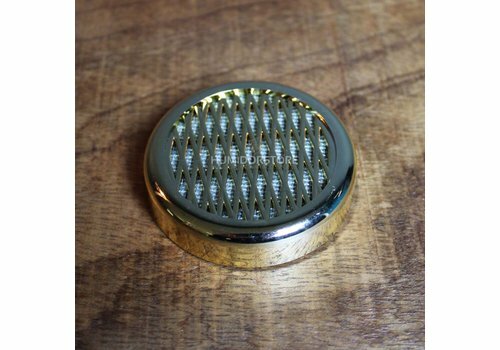 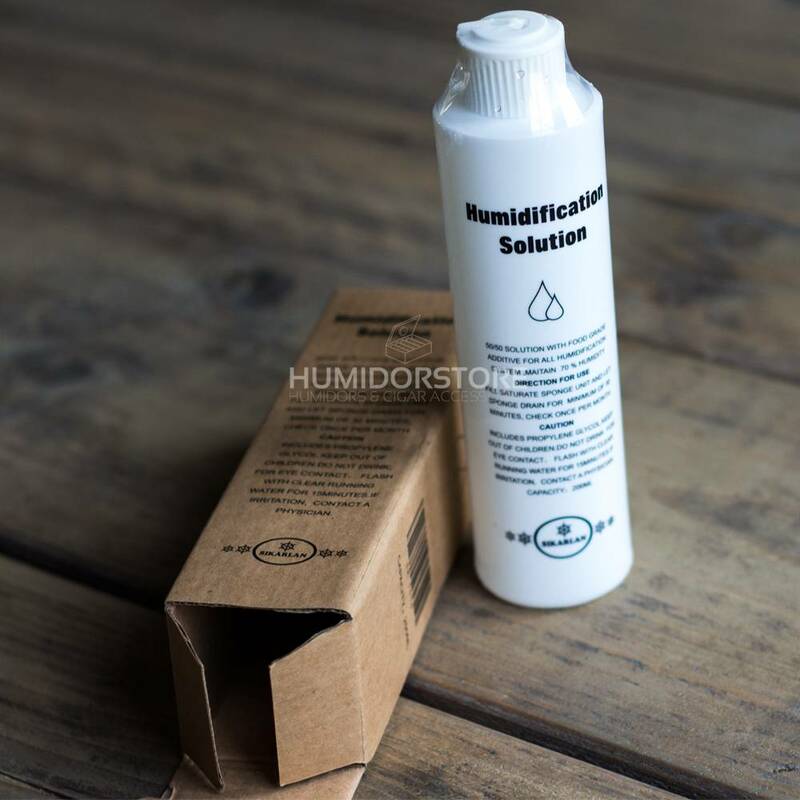 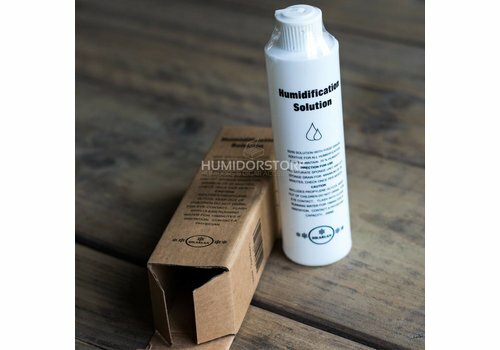 The Gold Humidifier with sponge will help you to obtain the optimal humidity level within your humidor. 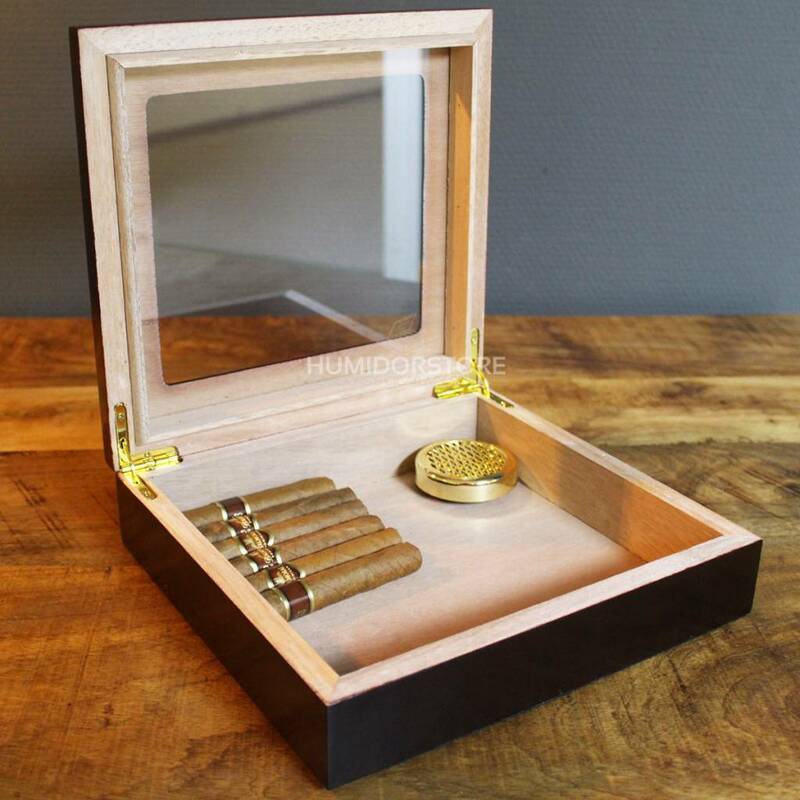 This will help you to keep your cigars nice and neat. 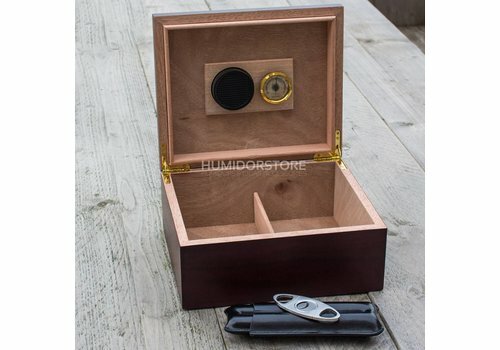 The Humidor Welligton s a big, handmade, humidor with an ebony, makassar outside and a Spanish cedar inside. 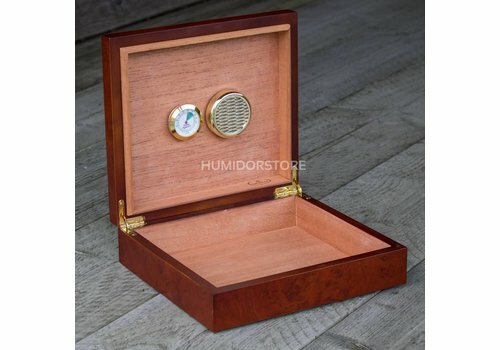 The humidor contains a hygrometer and a humidifier, so it is a unique example to have! 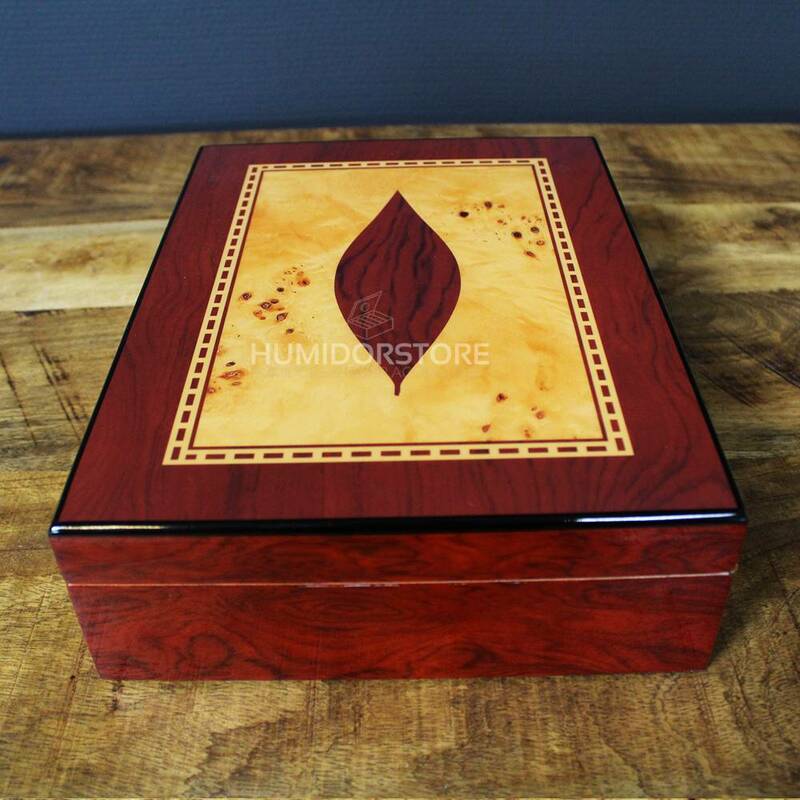 Humidor Nelson is a beautiful and large handcrafted humidor. 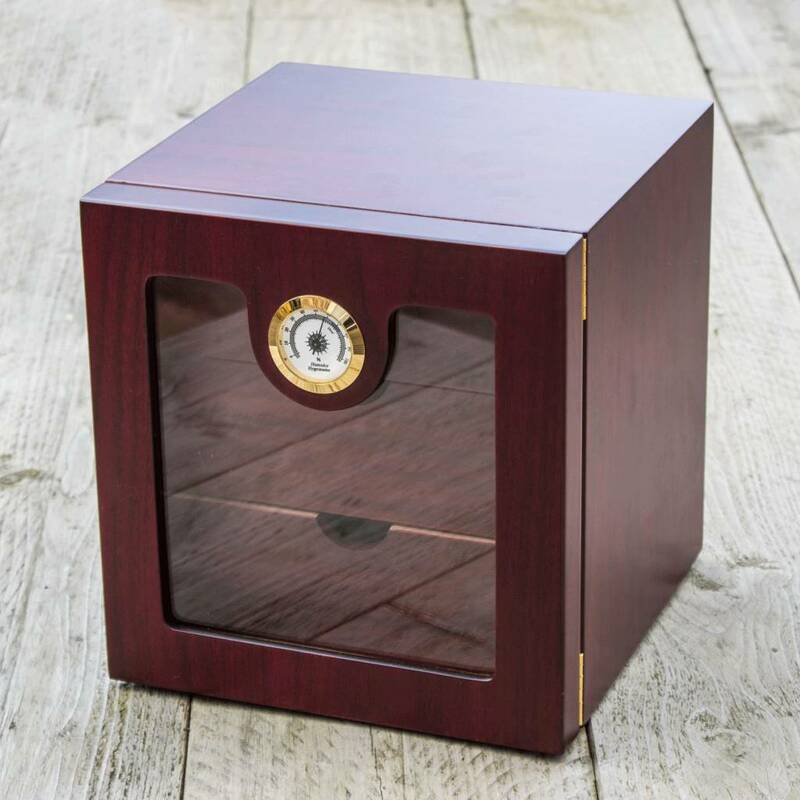 This humidor is made out of lacquered cherry, which gives the Nelson a very classy yet simple look. 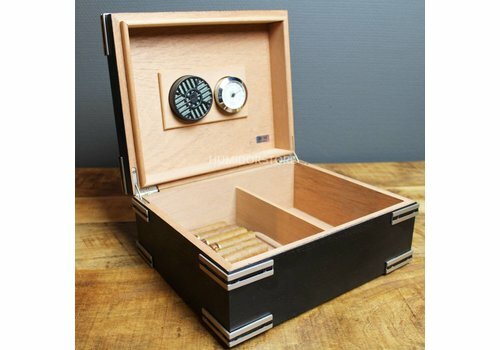 The Nelson is a beautiful classic humidor and a true gem for every home. 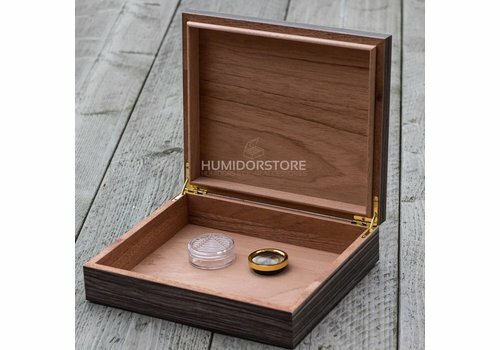 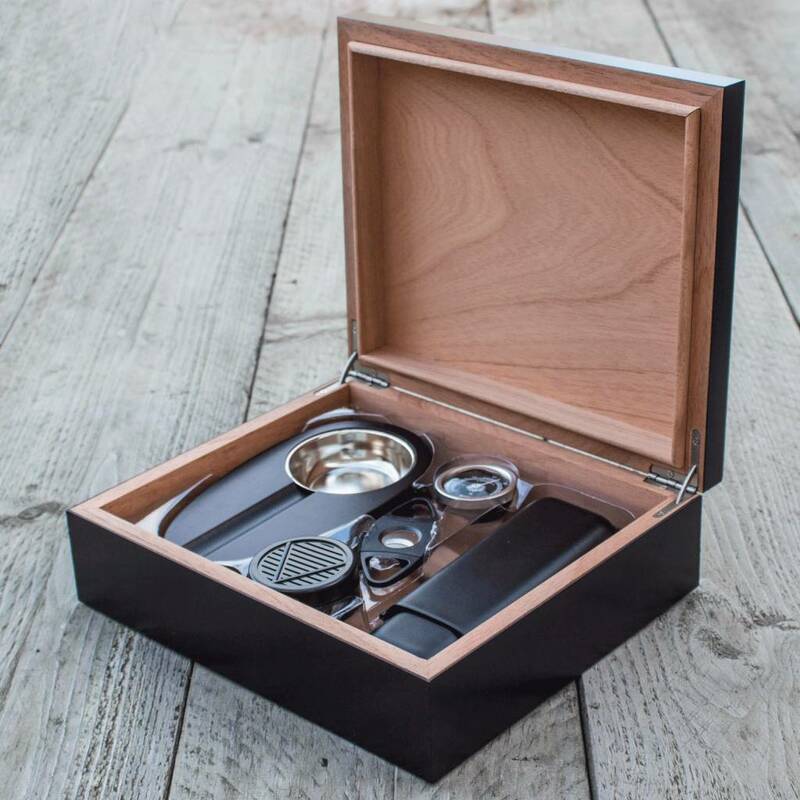 Humidor starter set Stuart is a beautifully handcrafted starter set, which consist of a humidor, a hygrometer, a stainless steel cigar cutter, a leather cigar case and a humidifier. 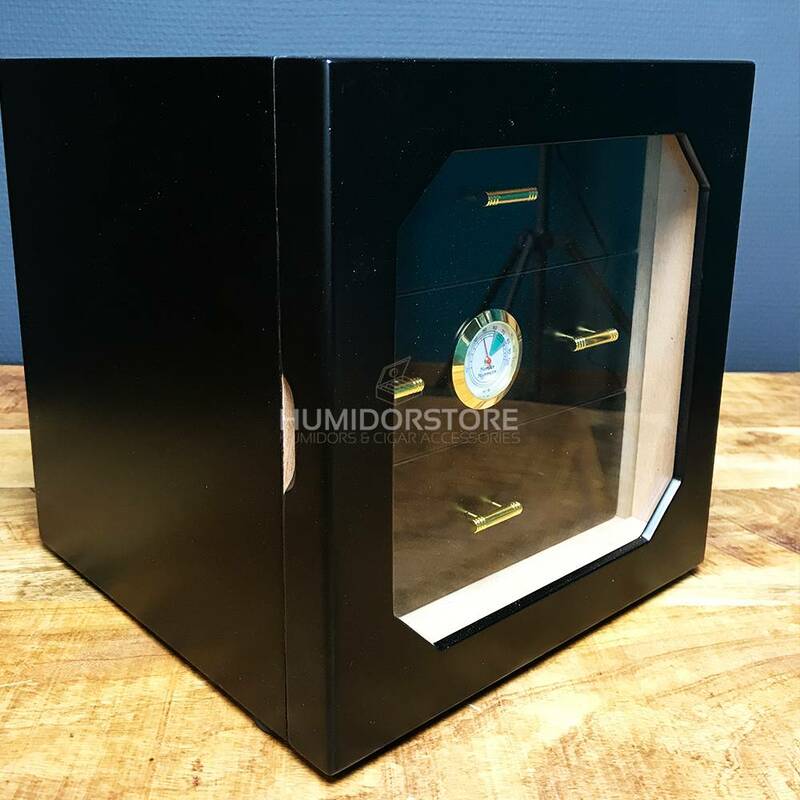 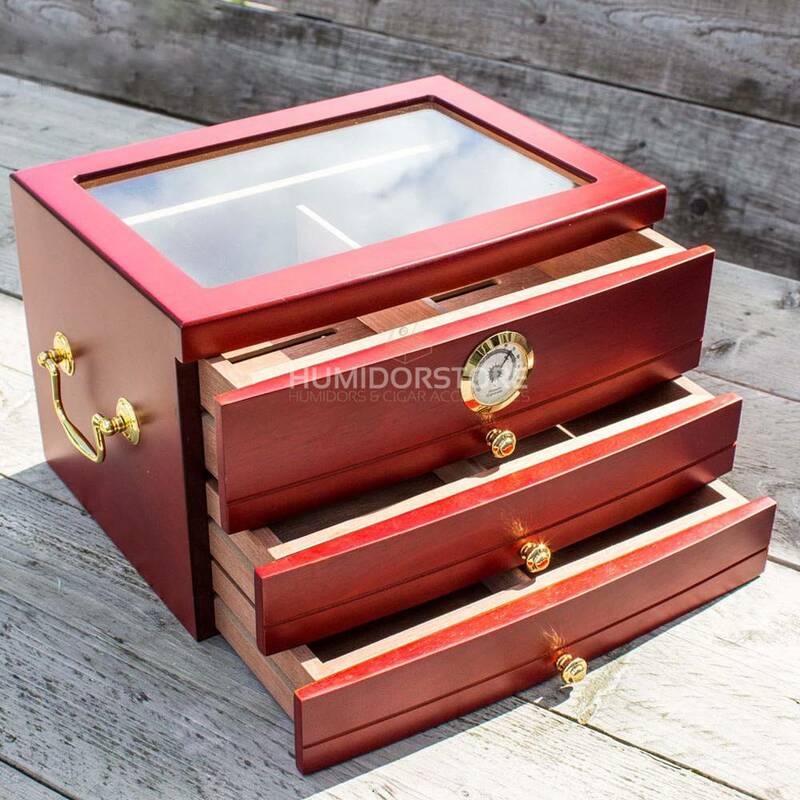 Humidor The President is a large, luxurious and beautifully handcrafted cabinet humidor with a glass window.